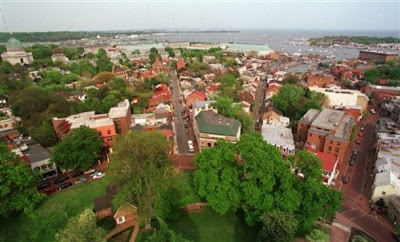 Beautiful and historic downtown Annapolis. Once again today, I will address a query from one of my blog followers regarding reference material. The topic arose out of a question regarding how I keep from losing myself in the details . 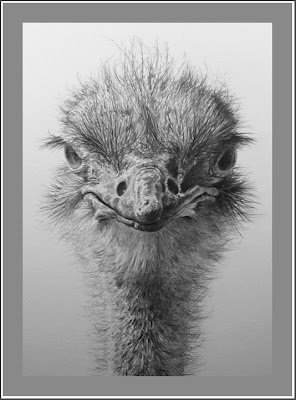 . . the details of feathering like on the recently completed little ostrich portrait, or the details of the wrinkles on the hide of an elephant, or the details of the spiral patterns of sheep’s wool, or, in the end, the details of any textural minutia. Well, simply put . . . I just don’t sweat the details! As the years have passed and I have continued to refine my technique and have found shortcuts, shall we say, to an end result that is pleasing and gratifying to me, I have found that details have had a way of becoming less of a struggle, less the means by which I desire to work and less important to the overall complexities of any given work. Oh, there still are plenty of details in my work, but I have to say that transferring an exact duplicate of my reference material down to the last feather placement, is not what my work is about. Slavishly locking yourself into duplicating a reference photograph seems counter intuitive to the creative process, don’t you think? 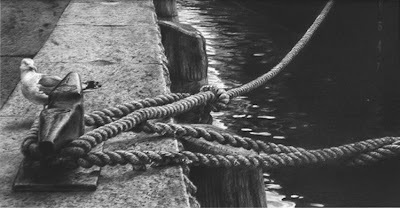 Sure, I can be considered somewhat of a photo-realist in style and compositional approach, but even realist artists edit their subject matter, refining and honing and culling out what is not important to the end result. In other words, their art tends to be made ‘their own’. Whenever I have been asked by students or younger artists about how they can become a better artist or find a more creative way to deal with their talent, I have always suggested that they make whatever it is that inspires them, their own. I mean taking what you see and adapting it to your inner being; finding what is the most important aspect of whatever it is and zeroing in on it. How do you separate yourself from the very talented artist next to you at the gallery or the art show or wherever . . . you find in your reference what speaks to you individually, what sparks your need to paint or sculpt or draw or stitch. Just look at the works of any number of the French Impressionists who spent hours in the field together, working en plein air, focusing on the same subject matter but yet, coming up with such different viewpoints, such different end results. They did this because each one saw the same subject matter with a totally different eye, with different experiences behind them, with a different view of the world in front of them. As artists, we should go with our gut feelings in order to produce works that truly represent who we are and not who someone else might think we are. Reference then, is just that . . . a point of referral. Reference, I feel, is there to support your inner need to be a creative soul, to give a starting point and not be taken as the end point. Reference is good to give gestural movement, to give light and shadow indications, to spark thought and creative pondering. As time has passed and I have chosen subjects that I do frequently, such as elephants and lions and maybe more recently, cows . . . the reference material becomes less and less important in the grand scheme of a work and more of a footnote, something to which I go when I am puzzled or momentarily unsure. For some who are just beginning on the long path of artistic endeavor, selecting good reference material with well defined understanding of the subject is important as you want to make sure you can accurately portray anatomy or size relationship or perspective quality. But allowing yourself to express yourself, once you have mastered those important basics and forms and shapes and spatial relationships, is what the creative process should be about, I feel. In response to an inquiry a day or two ago, asking about what I do about the light areas in a work, whether I pull away, erase or just how I handle such areas in a work, I will discuss that very issue today. Erasers are good for a lot of things, but I hardly ever use one. Occasionally, I will need the kneaded eraser (all puns are strictly intended here!) to clean up a smudge or on even rarer occasions, will use it to soften an edge, but quite honestly, I can not think of more than a handful of instances over the last six months when I have done that. I guess I prefer to do things the 'hard way' in my technical style of using the graphite medium. 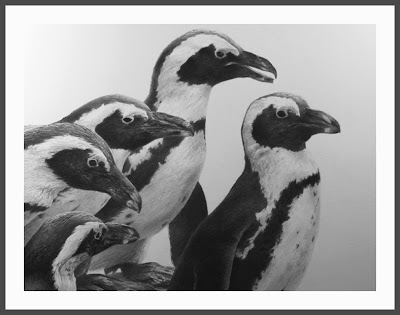 If I need a soft edge or want to fade out an area, as in the example of the flamingo detail here, I will do it with the graphite by layering into the light area, increasing the dark tones as they move further away from the light area. Sometimes, I will work the reverse, starting with the very dark area and move across diminishing the intensity of the dark as I go. It all depends on what I want the finished image to show and my mood on any given day. 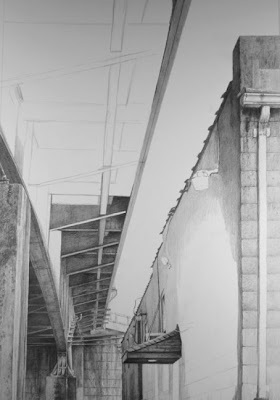 When it comes to establishing a very sharp, distinct separation between a very dark area and a very light area or one in which there will be no graphite on the bristol board, I establish a guide line first. This is usually done with a 2H or 3H very sharp lead. Then I will work away from the light, as in the flamingo work above, working away from the highlighted area on the necks of the birds. In the case of the work above, the leftmost birds were going to be in the area of the darkest shadow, so those guide lines were established using an HB and then I worked away from that line using a blunt point HB at first, slowly moving out from the white. As I got more graphite on the ground, I went back with a sharp pointed HB and very gently and with as soft a touch as possible, so as to not emphasize the line quality of the sharp point, I made a series of cross hatch lines to fill in any gaps and to even out the tonal quality of the dark. In the work below of the marabou storks, the same 'routine' occurred with me working away from the tops of the bird's heads and beaks. In this instance I also had to show the little fuzzy feathers on their heads so all that was set by really outlining the tiny little fluffs with HB and establishing those areas right off the bat. I do believe that was the very first thing I did on that drawing so as to set that very important light area right off. Those little fuzzies are what make the upper part of the drawing interesting and help to define some differing textural contrasts in the piece. 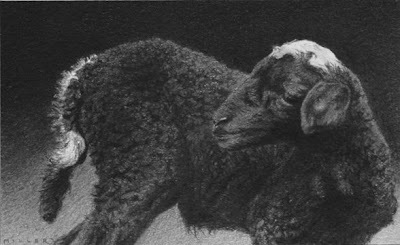 The same sort of fuzzy quality can be seen in the detail image of the lamb drawing below where I also had to set the distinct separation between white on the head and the little wisps of fuzz on the tail . . . This little rose shows another instance of working away from light to dark. First course of events was to establish the borders and edges of the rose petals and then I began to work out and away from all the highlights. 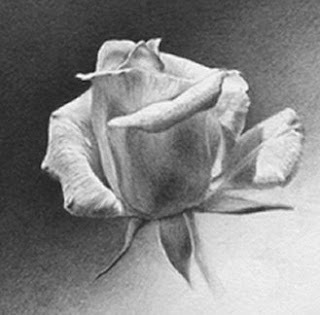 Once all that was established, I began in the upper left corner, setting in my darkest dark just around the edge of the petals in that portion of the image and then working out from there and soften up the tone as it moved up and into the corner. Once that was done I worked up the rest of the flower and then went back to darken up that upper left corner as needed to make the flower pop away from the background and give it some real depth. In the image above, a detail from a larger work, I slowly worked all across the piece, establishing all the separation points between light and dark and between medium tones and dark or light. Once all that was delineated, I took my sharp HB and outlined all the lengths of line that needed to be light and highlights, like those lines moving across the center of this detail image showing the crisp edge of the metal as well as setting the curve in the upper left corner. Then it was simply a matter of working away, once again, from the light to the dark. A lot of graphite covering the board on this one! In the next image, another detail from a larger work, setting the egrets against the dark background really is what made this piece. So, I naturally began with that area of the work, outlining the birds and then just 'coloring' in the spaces in between, layer upon layer of ever softer lead with a final overlayer of 2H to blend it all together. 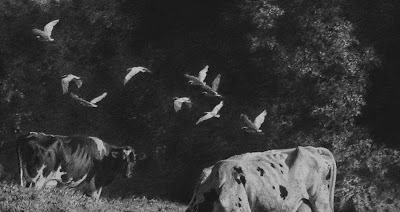 In this particular work, to strengthen the white of the birds even more, the white areas or white appearing areas on the cows all have ever so slight soft layers of graphite to tone them done and to make the strongest lights in the piece on the highlighted wings of the birds. These last two examples of light and dark just emphasize further how by simply establishing the strongest areas of 'white' first and then moving away from them, I was able to bring these areas into strong light, highlight or emphasize linear quality and movement through the work, such as the minimal use of light areas in the gull piece . . .
. . . these areas of light being the only spots on the piece that do not have even a slight covering of graphite and thus making a very strong statement and helping to really set up the linear movement through the work; the two most intense areas of white being on the gull and in the reflection ripples in the water that move almost right up the center line of the work. That little bit of light on the tops of the ropes also makes for some interesting intersecting movement across the work as well. 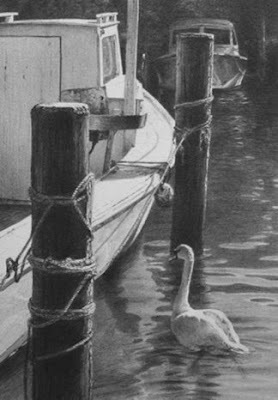 And once again, the boat deck and swan's neck in this piece are the real focal points of this small work, helping to lead the viewer's eye into and through the piece. Life drawing again last evening. This week, I attempted to make use of those oil pastels that I purchased last week. My confidence level with color is not what it could be at this point, but I will forge ahead. By the end of the evening, I did feel like I had a better handle on hitting tones and shades, but it has been years since I have done anything in color, so will take more fiddling around to feel like I am accomplishing anything at all. The session is interesting in that the model will take the same pose for six consecutive weeks, basically to enable those who have begun large scale canvases, to pick up where they left off the previous week. I think I need to shift positions in the room next time to get a different angle and differing light conditions, though I prefer the side I have been sitting on as the model was basically lit from her left and forward, casting interesting shadows and shaping the body form more. 'Fatal Attraction' image size - 10 3/4" x 7 3/4"
to work on some animal pieces for the next few weeks. A short time ago, I received an email from someone who has been looking in on this blog for a bit, asking about my pencils and paper and such. I was going to refer this person to my blog archive as I remember posting tons of information about these very subjects way back almost when this blog began. Unfortunately, when I opened up my blog page and looked at the archive listing, going back to the very first postings that I could get to, I realized that about a year or more worth of postings was gone. I don't know if there is a time limit on postings or if there is a certain amount of postings that can be stored, but whatever the case, it became apparent to me that those early postings are no longer. So, with that in mind, and after I sent a lengthy email response to the person who had contacted me in answer to her questions, I thought that I should probably repost something regarding the pencils I use to do what it is that I do! 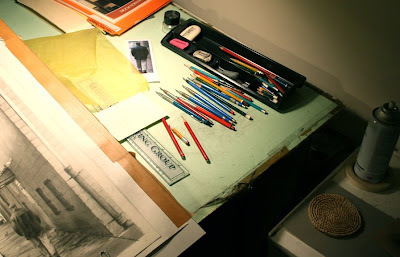 Here then, is a recent shot of my drawing board, the same that I sent to my questioner, showing my little pencil box with some of the pencils that I use pretty consistently on a work. You will notice that I use both standard, wood encased pencils as well as drafting lead holders. This is because in each of the primary grades of graphite that I use and that make up the bulk of any given work, I generally have a wood encased pencil in that grade, for example a 2H, and I also have a drafting lead holder with the same value of 2H. I do this because I generally make use of the drafting lead as my sharper pointed pencil while, usually, the wood encased pencil of that given grade has a blunted tip to it .... these two different 'tips' do different things for me in a work; the sharper tip giving me crisp lines for outlining and tight detail while the blunted tip offers a softer blending aspect to things and I use it for large even toned areas of a work, such as sky or clouds or water when a more even tone is required. These blunt tips also, when used to overlayer a darker area, will even out any variations in the softer grades of graphite, like the Bs or even HB. OK, I think that is enough of a mini lesson for today! I hope all will enjoy a safe and fun Memorial Day weekend. A Busman's Holiday . . .
. . . well, of sorts! 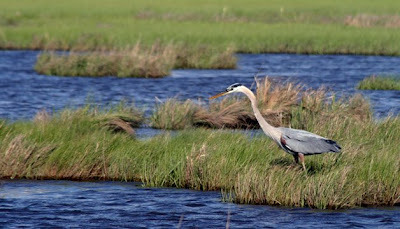 A bit of time away from the studio yesterday as an artist friend and I had to do some Gallery business on the eastern shore of Maryland. 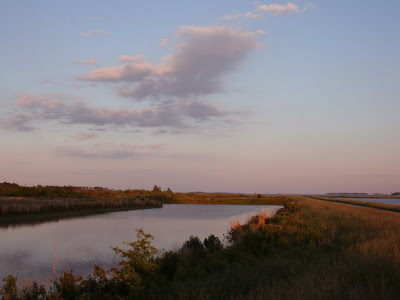 It turned out to be a very nice day, weather wise, so we decided to go on down to one of our favorite spots east of the Chesapeake, the Black Water Refuge south of Cambridge, MD. It was a great afternoon. Though not many cooperating subjects about, we did manage to find a few things to zero in on and make some reference shots. 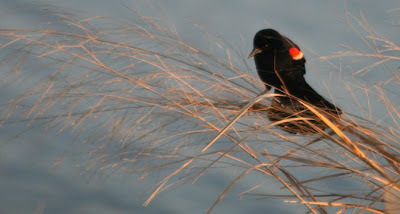 And, even without coming home with a 'sack' full of imagery, I just enjoyed being out and about and away from the studio! Today, it is back to work preparing the book of the Unknown Bridges exhibition for sending off to the publisher. I have encountered some problems in doing just that, but hope whatever is holding it all up can be resolved in the next day or two and have a proof copy to review in early June. As I have mentioned here before, as soon as all the kinks are worked out, I will be posting information on how the book can be ordered, price and etc. 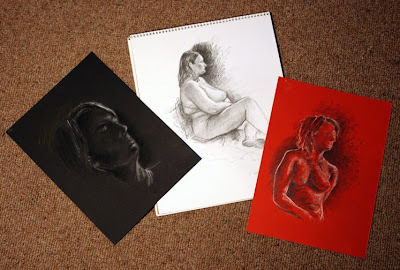 For the last couple of weeks, an artist friend and I have been attending a life drawing class one evening a week. This is something we had talked about doing for a long time and finally decided that it was time to stop talking and just do! I have not done sketching from life, really, since art school and that was way back in another century! I doubt I took much away from that class as the teacher, a man who had, shall we say, quite unorthodox and overly authoritarian ideas about how we should be seeing and working and sketching, was quite intimidating and in the end, had many of us in his class so edgy all the time, it is a wonder that we could even put charcoal to paper. I have, from time to time over the years since leaving art school, sketched in my books from life, but usually just as adjunct thoughts like when sitting in the airport at Arusha, Tanzania waiting for the return flight to the States and momentarily doing some quick gestural studies of fellow travelers, trying to capture the moment in as few lines as possible (something which I will admit now, I think came directly from that tyrant of a life teacher in art school!). But, since my major focus of work over these last almost forty years in graphite has been animals and the natural world, it is interesting and fun to be, now, working once again with human form. I will not say that my efforts so far have been anything to be jumping up and down about, but I think with a number of three hour sessions under my belt now, I can see some improvement and am beginning to feel comfortable with what my eye is seeing and my hand is translating. 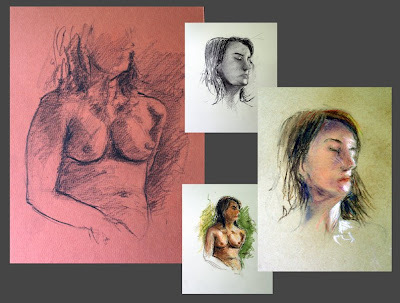 And that, in the end, is a very important aspect of doing things such as life drawing - to be able to make that all important connection between what the eye sees and how the hand reacts to and translates it. As I have said many times to young artists who ask, and to parents of youngsters who seem to show promise and want to know how they can continue to encourage their children, having a small sketch pad and pencil with you at all times is of great value in allowing you to do quick gestural, line studies of people or whatever is within sight. Training yourself to capture in as few strokes of the pencil as possible, a fleeting movement or contour outline, is one of the best means of mastering your drawing skills. Many of the artists in the group are painters and are working on ongoing pieces, since the model takes the same pose for six consecutive weeks, and are constantly working and reworking and refining their paintings. I have been sketching in graphite, charcoal and now working on colored grounds as well. I even picked up some oil pastels last night and will 'play' with those in the next session. No, this is not a bridge nor is there a bridge or any part thereof, in it! This is the last of the new works that will be going to Main Street Gallery for the small group show that opens on the 31st - image size is 10" x 13". Those 'in the know', realize that at this time of year, early on in May, there are many artists who anxiously await their mail delivery each day after the first week in May. Why you say? Well, it is because we are looking for a particular envelope. My particular envelope arrived late yesterday and I am pleased to say that it was the BIG envelope! 'The Lace Curtain' was juried into this year's Birds in Art exhibition at the Woodson Art Museum and I am once again, most honored and delighted to have my work be a part of this outstanding annual event. 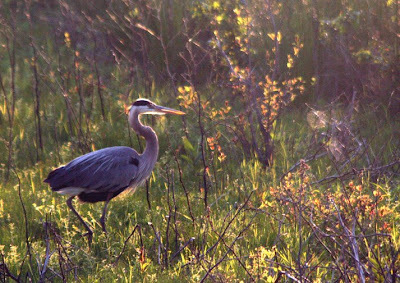 If memory serves, I believe this will be my 17th year of inclusion in Birds in Art and I will look forward to returning to Wausau in early September for the opening weekend festivities. With the opening of my solo exhibition, Unknown Bridges with the Woodson, just around the corner, I will get to visit Wausau twice this year! Birds in Art opens on September 6th and runs through early November in that beautiful upper Midwestern city, so if you are planning to be in the area of north central Wisconsin any time during the fall, stop into the Woodson and see the exhibition which will host works from artists from all across the globe. And, congratulations to my artist friends who also made the cut this time around and to those who did not . . . you will be missed in Wausau come this September. The sun is out this morning and all is bright and drying out! I have had a chance to photo the newly completed, last work for Unknown Bridges and here it is . 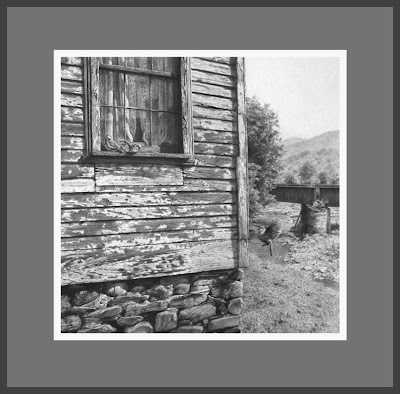 . . 24 1/2" x 10 1/2" image size. With the completion of this work, the bridge project will come to a conclusion and in two weeks I will be packing up the work for shipment out to Wisconsin. I want to thank all who have offered very appreciative and positive comments about the works included in this project. It truly has been an interesting journey for me and has tapped into creative impulses that have surprised me, delighted me and in some instances moved me to include subject matter that I have never considered before, ie: the human form. Who knows where things will go from here? And now, it is back to the drawing board for me. I have finished, this past weekend actually, the final bridge work for the Woodson hanging next month. With the rain though, that seems to have been falling nonstop since the end of last week, I have been unable to get the work outside to photograph it, so promise to post it tomorrow; that assuming that this downpour will eventually stop later today. 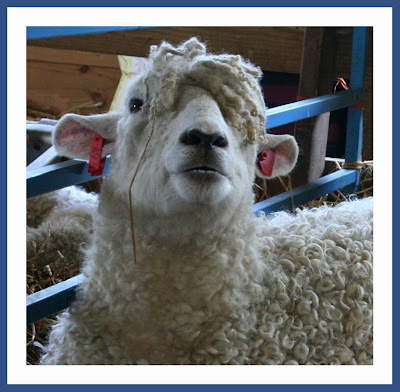 In the meantime, to occupy this blank space, I will post a shot taken recently at this year's Maryland Sheep and Wool Festival. I have not drawn the wooly beasts for quite some time and am anxious, now that the bridge project has come to an end, to get back to working on some strictly animal pieces for upcoming shows. 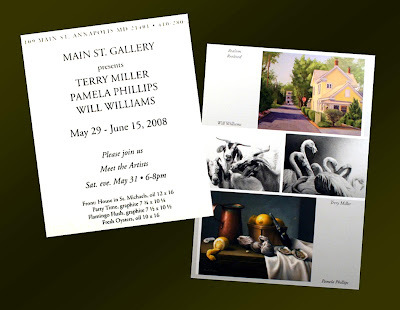 Keep an eye out here to see what will come off the board in the next couple of weeks in prep for the hanging of my work, inlcuded in a three person show at Main Street Gallery in Annapolis, which will have its opening reception on Saturday, May 31 from 6 to 8 PM. Y'all come! Work on the current piece has been continuing but there have been interruptions along the way, not least of which the theft of my digital cameras from my studio this past weekend. Long story, short . . . it has been a rough few days here but finally, today, I received a new replacement camera which will suffice for the time being. Dealing with events such as this is not easy, but somehow things are beginning to get back to some normalcy around here and that includes focusing on the drawing board. I still hope that this last bridge piece will be finished by the end of this coming weekend as there are other things that have to be started next week. So, for now, it is back to work for me! Yes, there is a new work on the drawing board . . . the last of the bridge works for the Woodson show. This one, as with 'Ice Follies' a bit ago, is another very vertical work; the finished image size is going to be 22 1/2" x 10 1/2", so the going is slow on this one as I have to stand and lean across my board to get to the top portion of the drawing. In any event, here is a first shot of the work with the ubiquitous pigeon taking center stage . . . for the moment anyway.